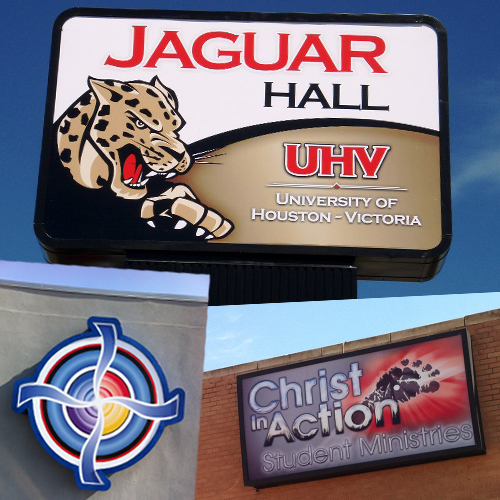 Identification signs for retail business, school, university, airport, mall, church, hospital or emergency centers are made from many different forms such as electrical channel letters and cabinets, flat cut or formed letters, LED message boards and awnings. Custom Sign Cabinets can be internally or externally illuminated or non-illuminated using translucent or opaque flexible faces, acrylic, or poly-carbonate faces. Sign cabinets can be mounted as a pylon sign, attached to a building, or mounted inside a monument sign. Sign Cabinets are very versatile, as Premier Media Group custom makes each cabinet in most any size or shape. 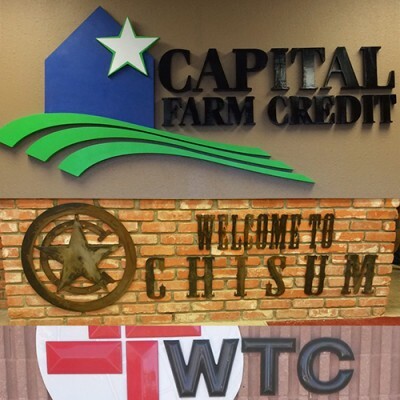 Channel Letters and Logos are an unique way to have the individual letter look and your logo shape and size. 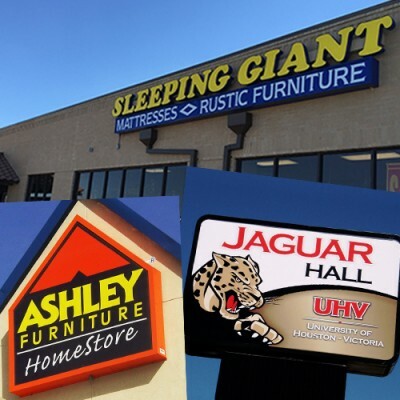 Channel Letters come in many different forms such as front lit channel, reverse hale lit channel, or a front and back hale lit channel which makes this for of identification very adaptable to different building fronts and monuments. Channel letters can also be illuminated or non-illuminated depending on the application. Plastic Formed or Flat Cut Letters both of these come in almost any font, color, or custom painted. Substrates range from the simple flat cut aluminum letter to the cast metal letter or logo to a formed 3D plastic letter and logo. LED Message Boards are becoming very popular for the ability to change the message, price or time in an instant! Premier Media Group is a Watchfire LED Dealer and have the buying power to make your sale to your customer possible. Watchfire is the nations leader in dependable and well fabricated message boards that PMG is proud to stand behind.